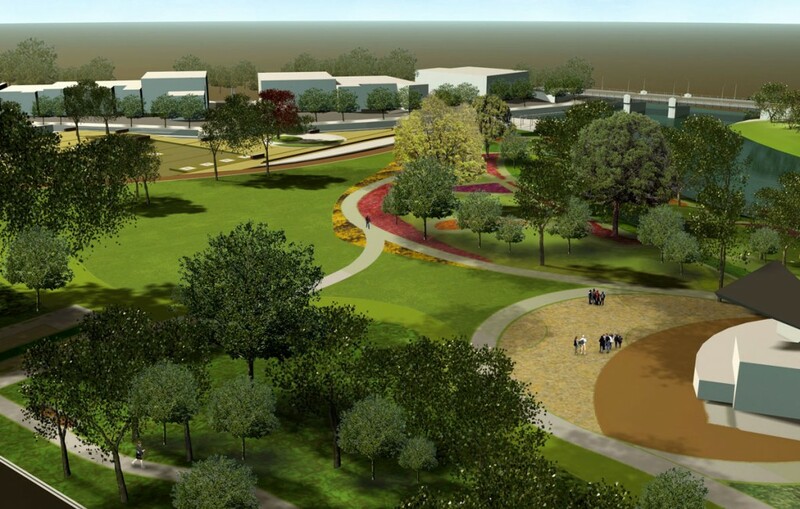 The Tecumseh Park Facility Master Plan has been prepared to develop strategies and ideas for the revitalization of one of Chatham-Kent’s most significant public spaces. 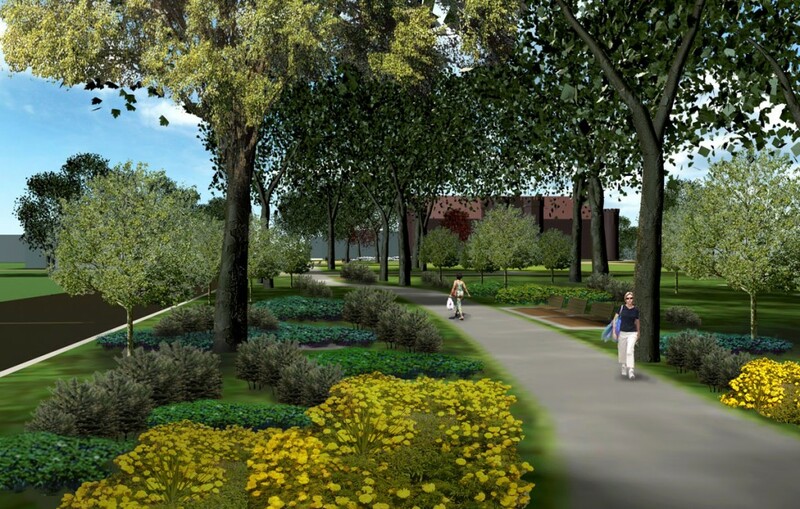 Tecumseh Park remains the heart of Chatham by virtue of its central physical position, its historical connection to the birth of the municipality, and its cultural role through over two hundred years of civic life. 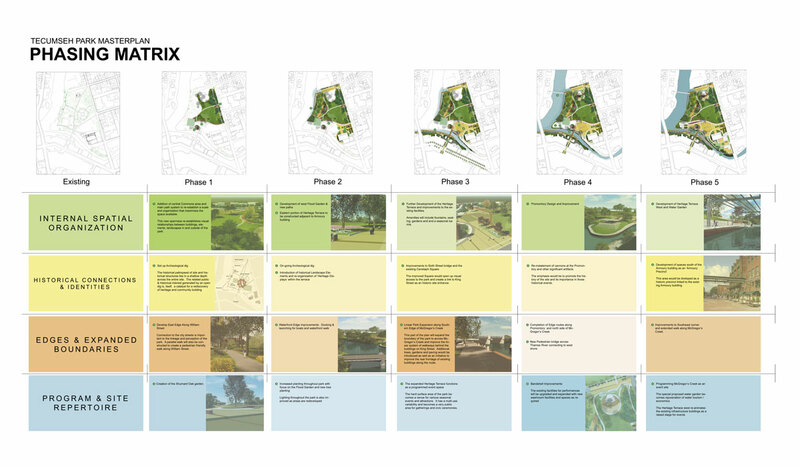 Although our Master Plan for Tecumseh Park approaches the project from many different directions, we organized them under general organizational headings in relation to Tecumseh’s Park expanded and immediate context. 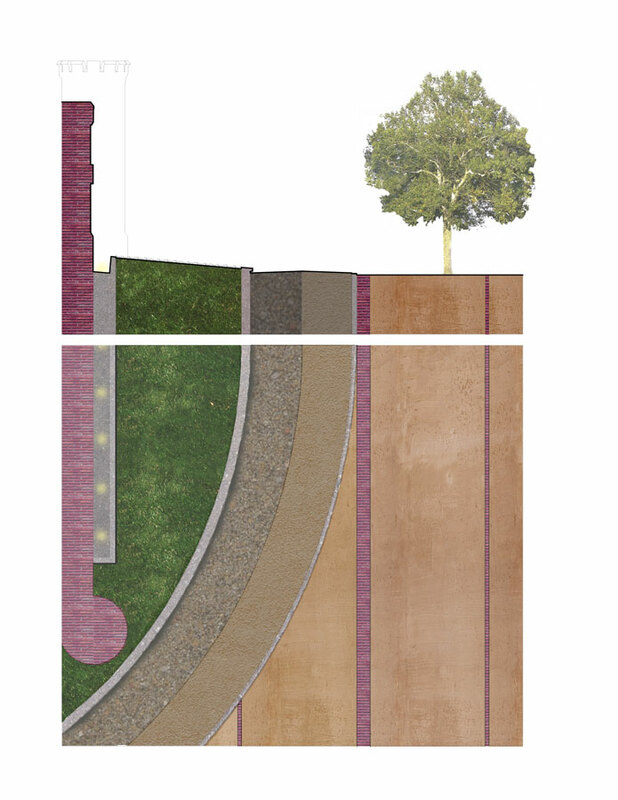 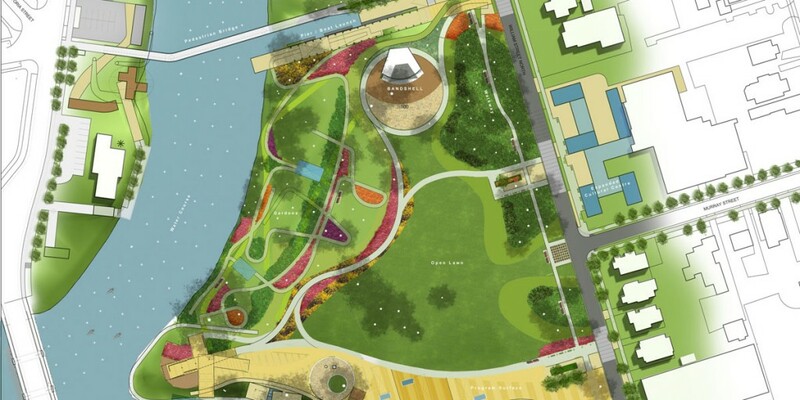 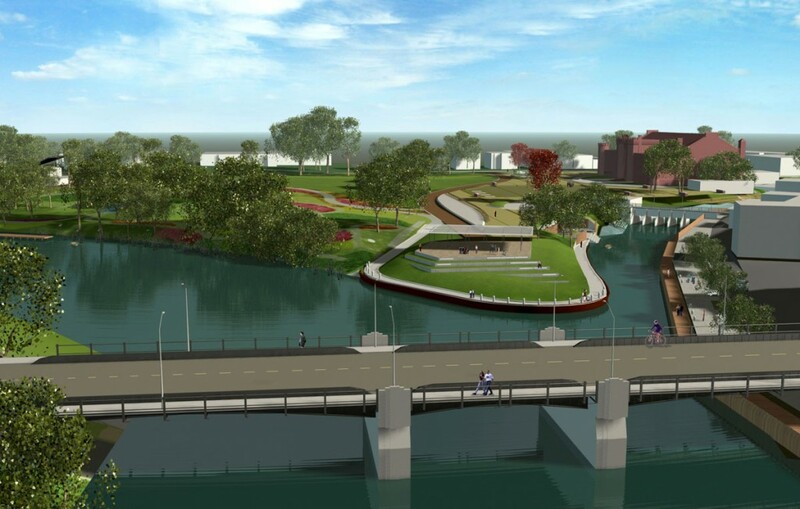 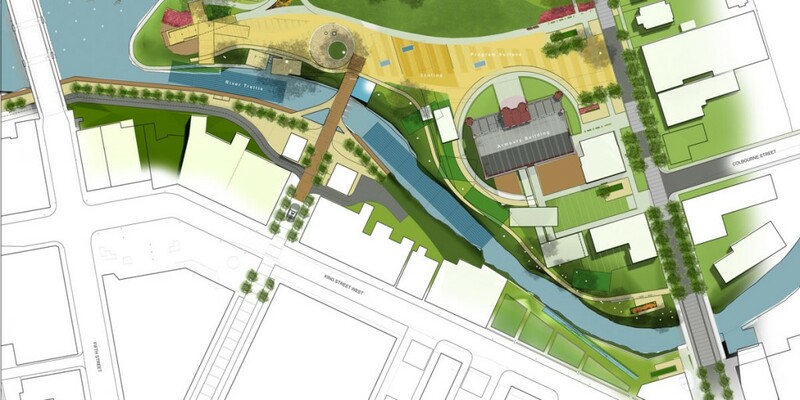 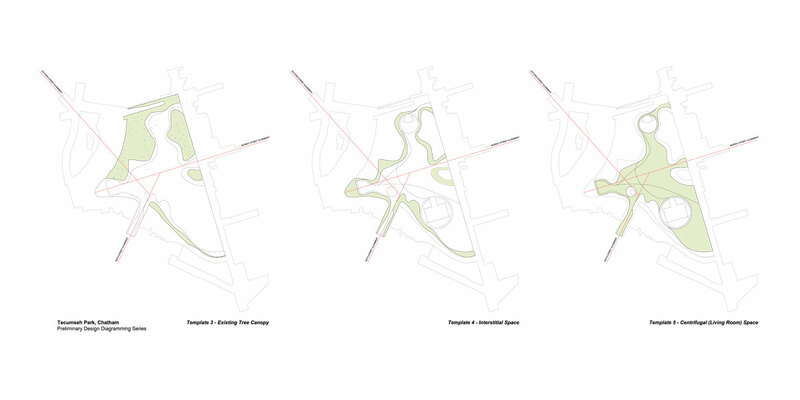 The Master Plan Concept seeks to re-establish Tecumseh Park’s prominence in Chatham-Kent by looking at issues of interconnectivity with its immediate and broader context, exploring ways of more effectively illustrating its considerable heritage, and to restore its physical health through a number of landscape design strategies. 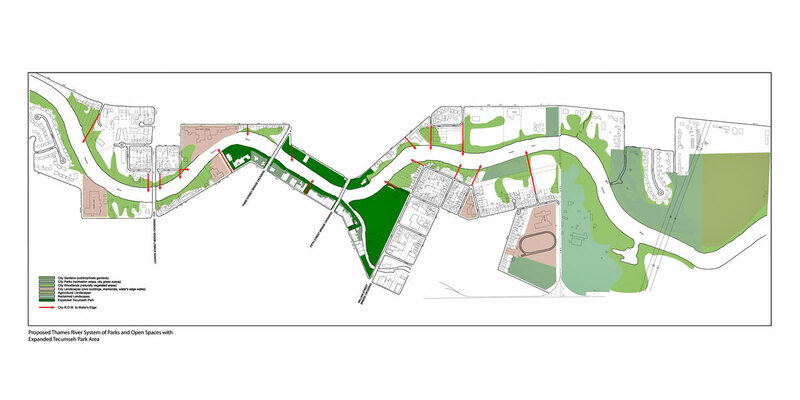 The overall Master Plan Concept responds to issues of urban connections to the ThamesRiver and McGregor’s Creek, the immediate neighbourhood, King Street, and to a larger network of open spaces making up what is referred to as a Thames River Precinct. 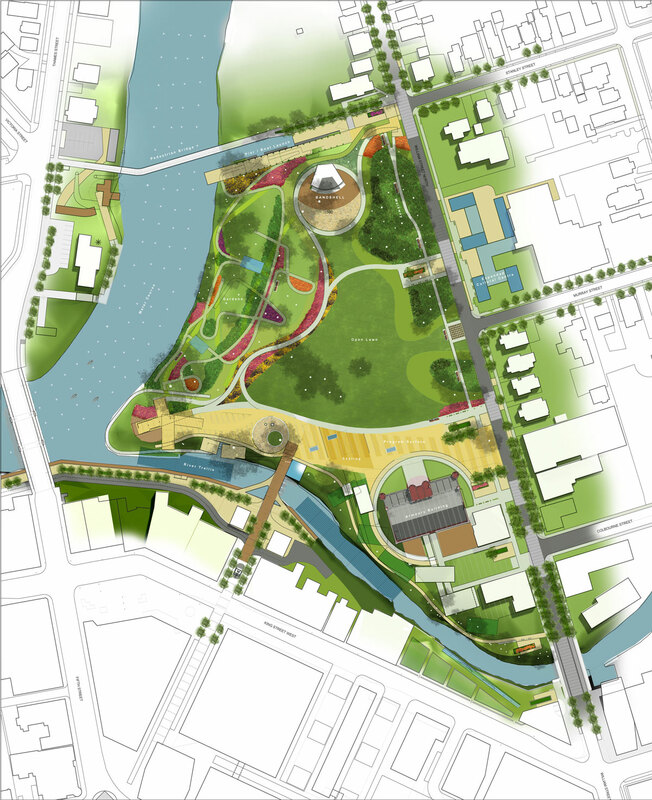 Programming was also a major focus of the Tecumseh Park report, to find a balance of uses and to recommend a ‘medium intensity’ that attracts a constant and steady enjoyment, rather than over-populated events that could potentially take place at larger venues. 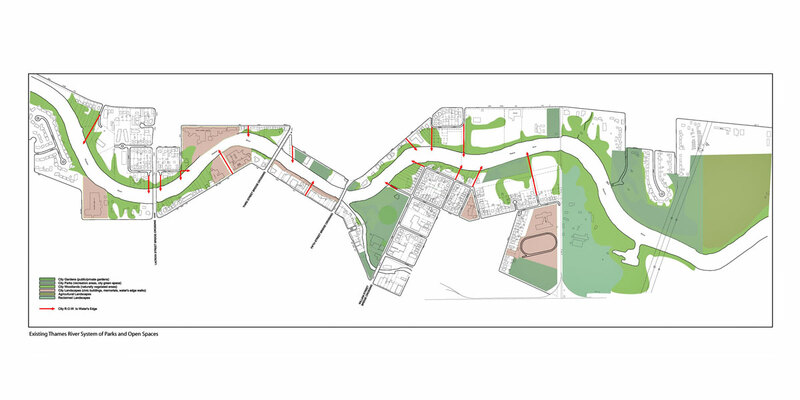 The City of Chatham Kent began implementing early phases of the Master Plan in 2012. 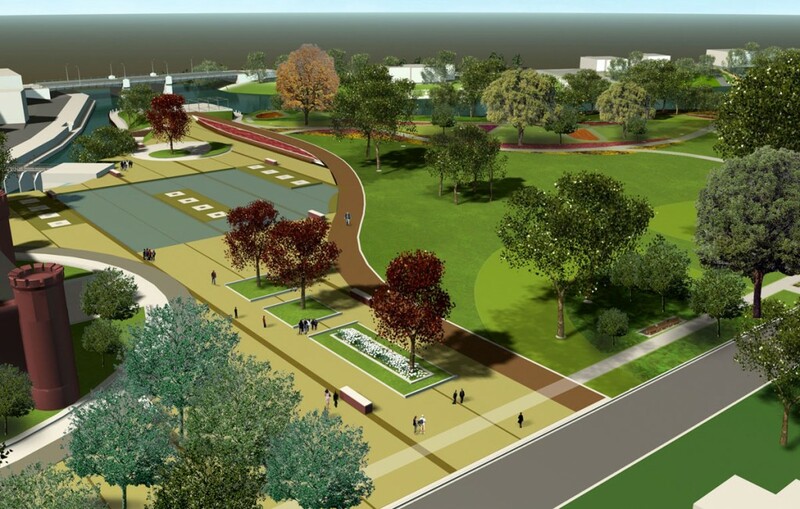 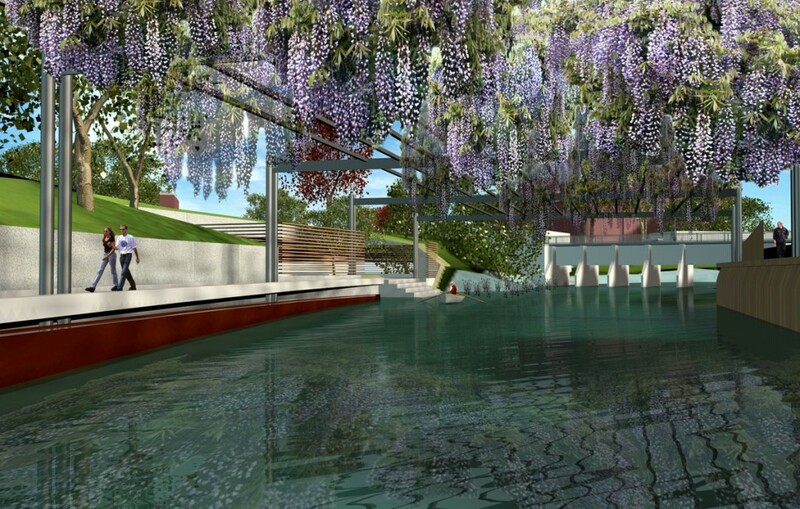 In 2005, Chatham-Kent commissioned a Facility Master Plan to chart the revitalization of Tecumseh Park, one of the city’s most significant public spaces.